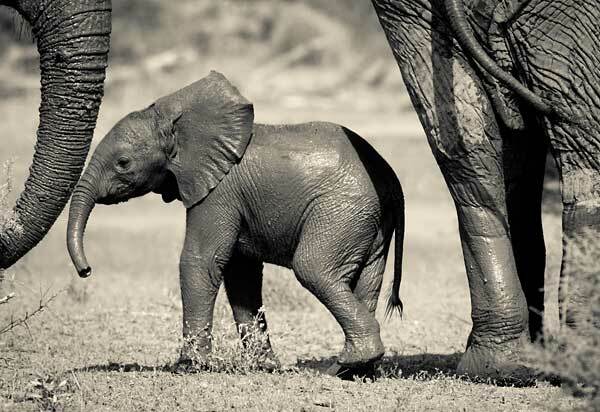 Adult elephants, particularly the females, are very protective of babies and juveniles in the herd and will make every effort to shield and protect them from danger. This makes it difficult photographing youngsters within a breeding herd as mother elephants keeps their babies very close or even underneath them. This bond between mothers and offspring is very tight and can endure for 50 years.